– Fueled by propane and operated by 12V for off grid applications. – Available with a 110 electric element. 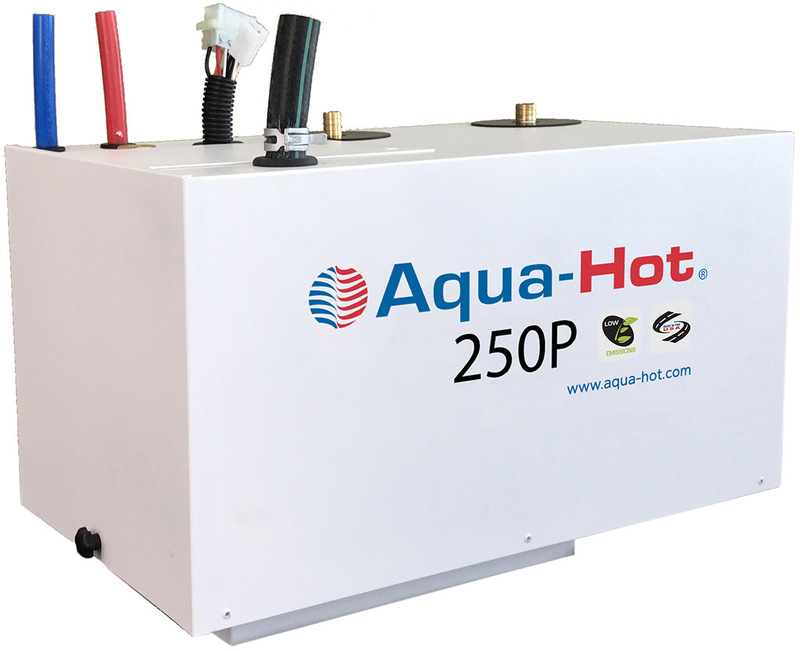 – The all-in-one design of the Aqua-Hot series results in considerable cost and space savings. 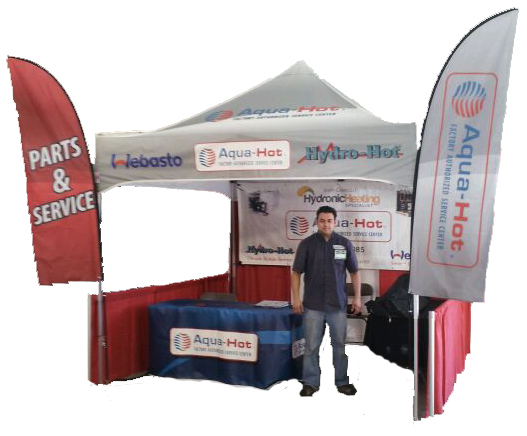 – Single, self-contained unit: Delivers residential-style interior heating using heat exchangers and/or in floor heat with the ability to deliver a luxurious supply of continuous hot water at 110°-120°F at a rate of 1.5 gallons per minute. It’s just like the luxury comfort in a traditional home or high-end motorhome. – Quiet: Low voltage fans provide an almost completely noise free operation. – Fast Installs: Heating, domestic water, and fuel supply/outlet ports are located on top of the tank for easy connection access. Integrated mounting tray facilitates air intake and exhaust. – Easy Operation: Heat controlled by your thermostat and endless hot water by simply turning on a faucet.